This marine national monument is a linear cluster of small, low lying islands and atolls surrounded in the Pacific Ocean, extending some 1,931 kilometers to the north west of the main Hawaiian Archipelago. It supports a dynamic reef ecosystem with more than 7,000 marine species, of which approximately one quarter is unique to the Hawaiian Islands. The monument is home to many species of coral, fish, birds, and marine mammals and other flora and fauna, including the endangered Hawaiian monk seal, three endangered whale species, and the endangered leatherback and hawksbill sea turtles. 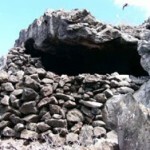 In addition, this area has great cultural significance to the Native Hawaiian community. It is a sacred place of creation and settlement stories, and the islands and surrounding water has a strong connection to early Polynesian culture and is used to practice important activities like traditional long-distance voyaging and wayfinding. 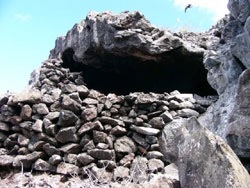 Two of the islands in the complex have archaeological remains relating to pre-European settlement and use, including a large ensemble of shrines, heiau, which resemble those of inland Tahiti. These, together with the sites of stone figures that show a strong relationship to similar carvings in the Marquesas, can be said to contribute to an understanding of Hawaiians strong cultural affiliation with Tahiti and the Marquesas. protected by President Teddy Roosevelt who established the Hawaiian Islands Bird Reservation in 1909. President Franklin D. Roosevelt broadened the protections to all wildlife and formed the Hawaiian Islands National Wildlife Refuge in 1940. And in 2006 President George W. Bush created Papahānaumokuākea Marine National Monument to protect and preserve the marine waters and their wildlife and historic, cultural and scientific riches. Most recently on August 26, 2016 President Obama expanded the existing Marine National Monument designation by 442,781 square miles, bringing the total protected area to 582,578 square miles. Papahānaumokuākea was designated as a world heritage site in 2010 and is one of a limited number of mixed sites inscribed for both cultural and natural values. It is the only mixed site in the United States.